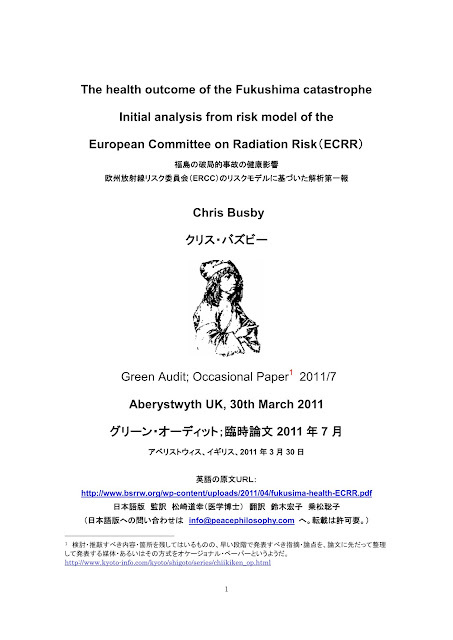 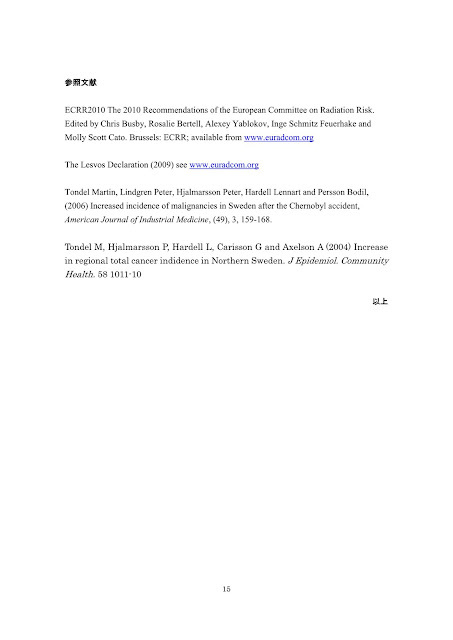 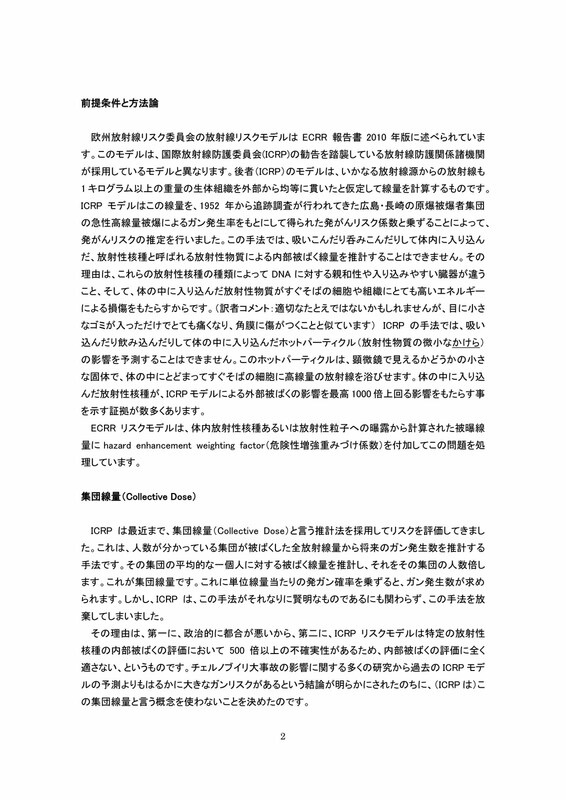 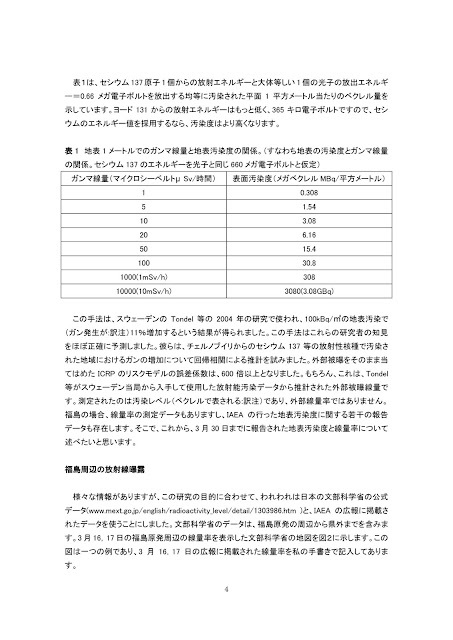 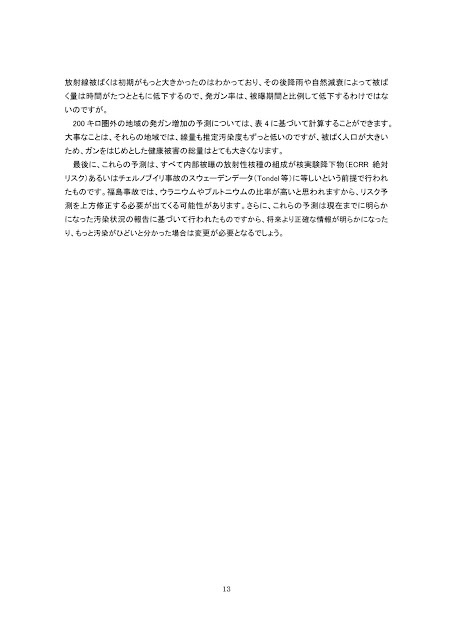 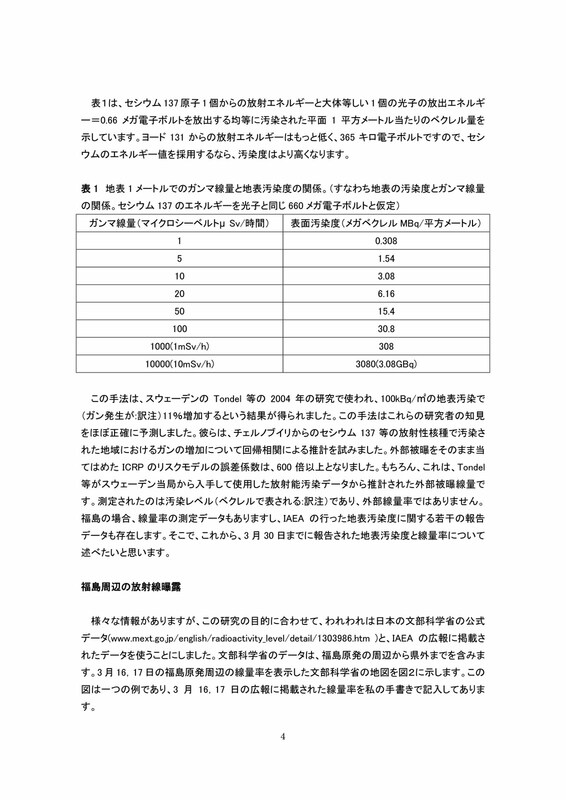 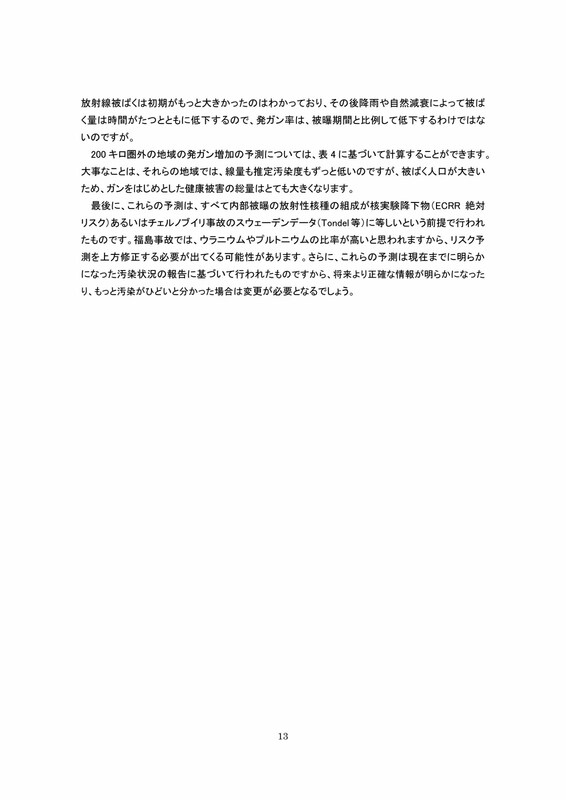 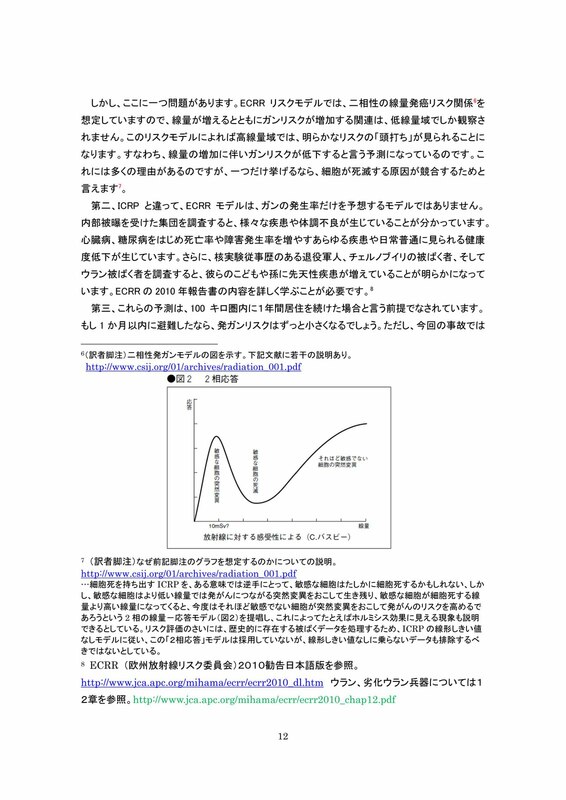 Peace Philosophy Centre: ＥＣＲＲクリス・バズビー論文「福島の破局的事故の健康影響」日本語訳 Japanese Translation of ECRR Chris Busby's Paper "The Health Outcome of the Fukushima Catastrophe"
ＥＣＲＲクリス・バズビー論文「福島の破局的事故の健康影響」日本語訳 Japanese Translation of ECRR Chris Busby's Paper "The Health Outcome of the Fukushima Catastrophe"
This entry introduces a Japanese translation of a paper written by Dr. Chris Busby, Scientific Secretary of ECRR (European Committee on Radiation Risk) "The health outcome of the Fukushima catastrophe - Initial analysis from risk model of the European Committee on Radiation Risk ECRR." 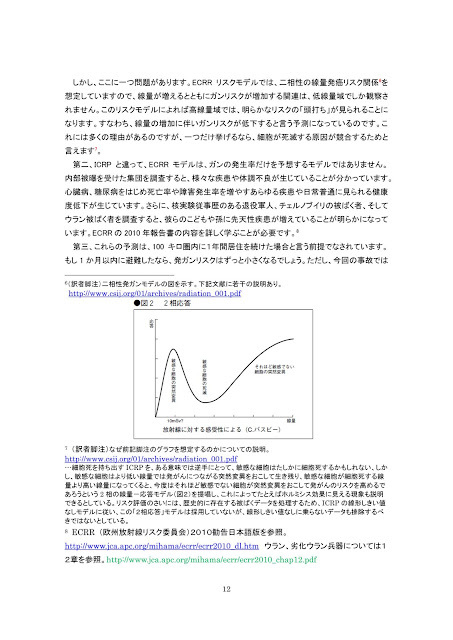 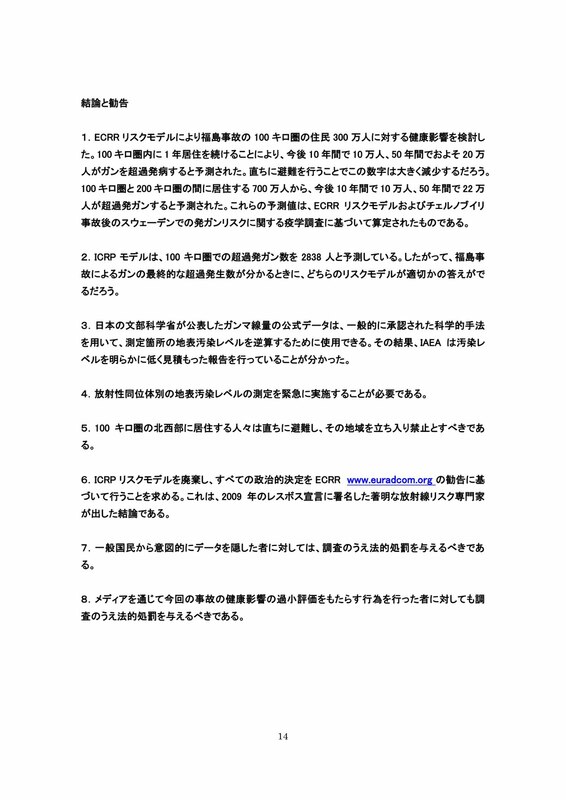 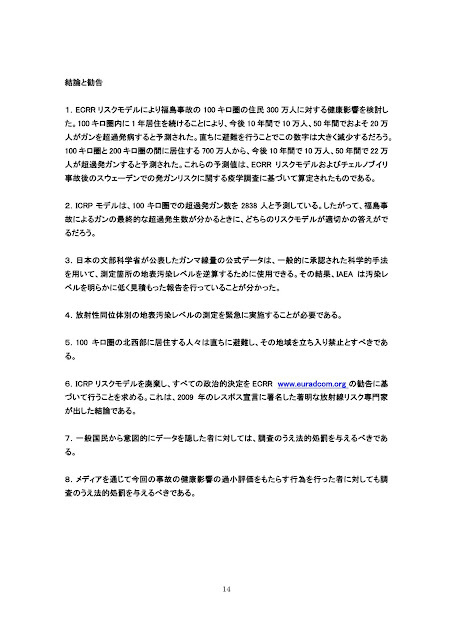 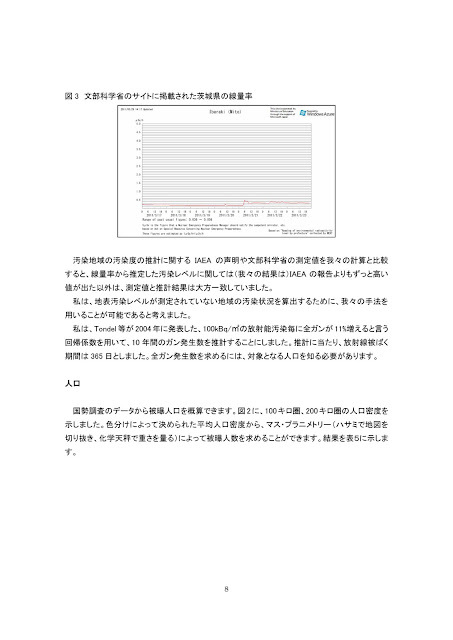 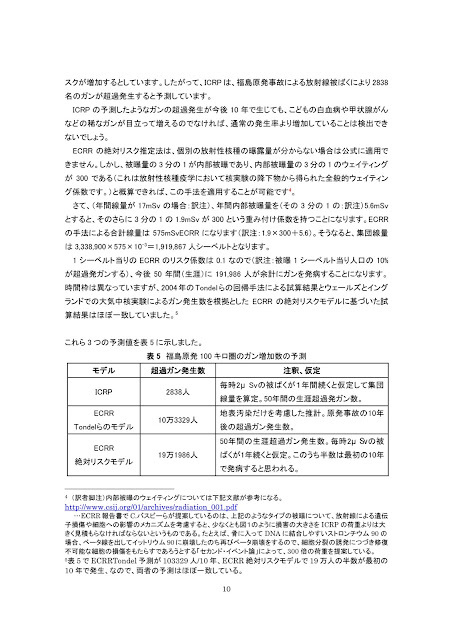 See this LINK for full original text in English. 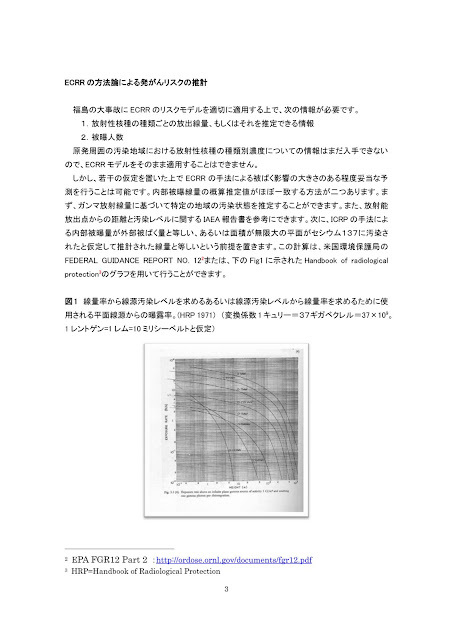 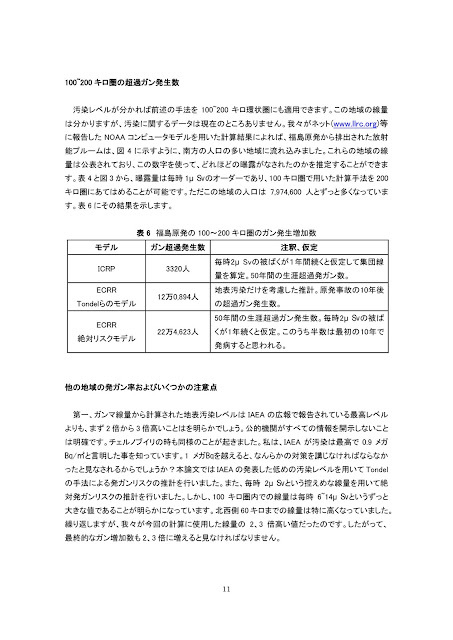 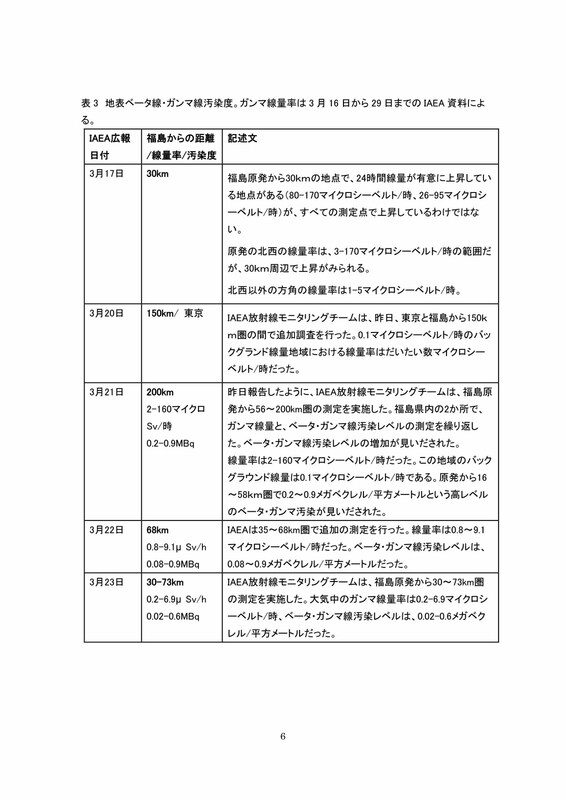 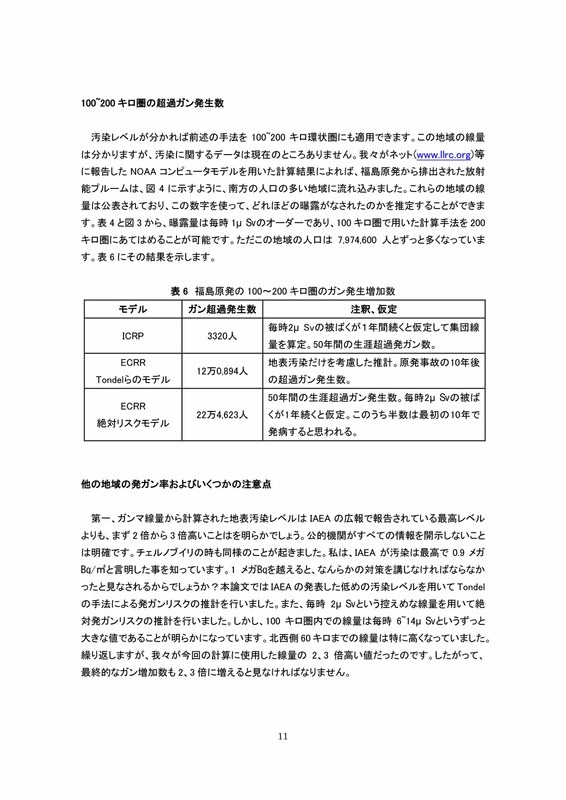 Translation is by Hiroko Suzuki and Satoko Norimatsu, and supervised by Michiyuki Matsuzaki, M.D. 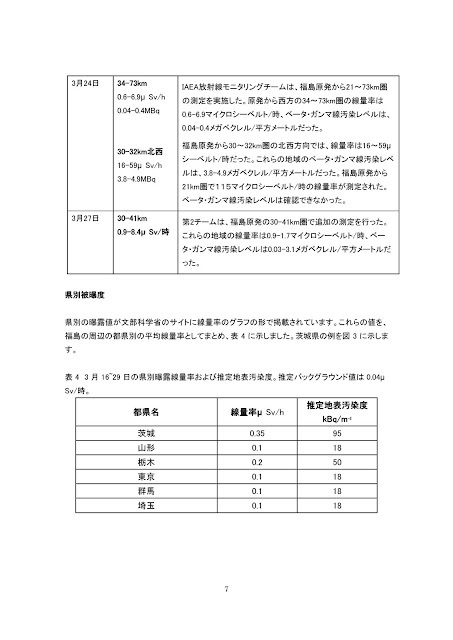 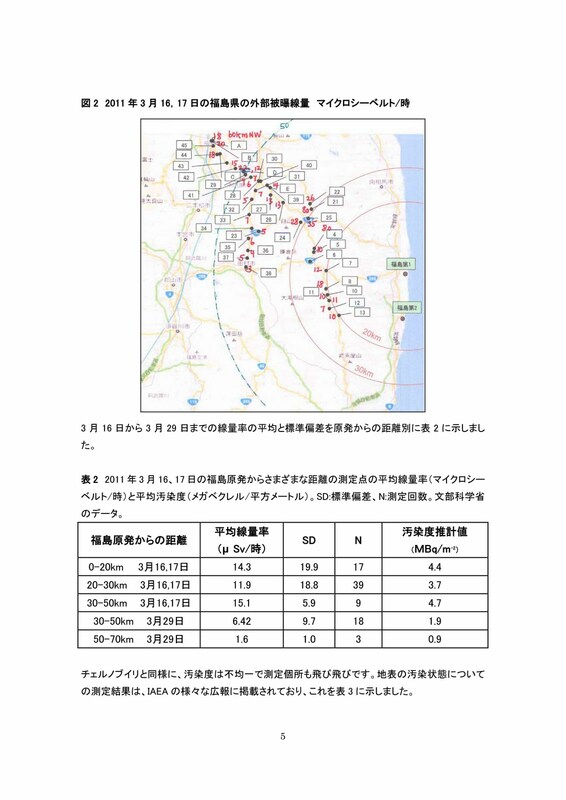 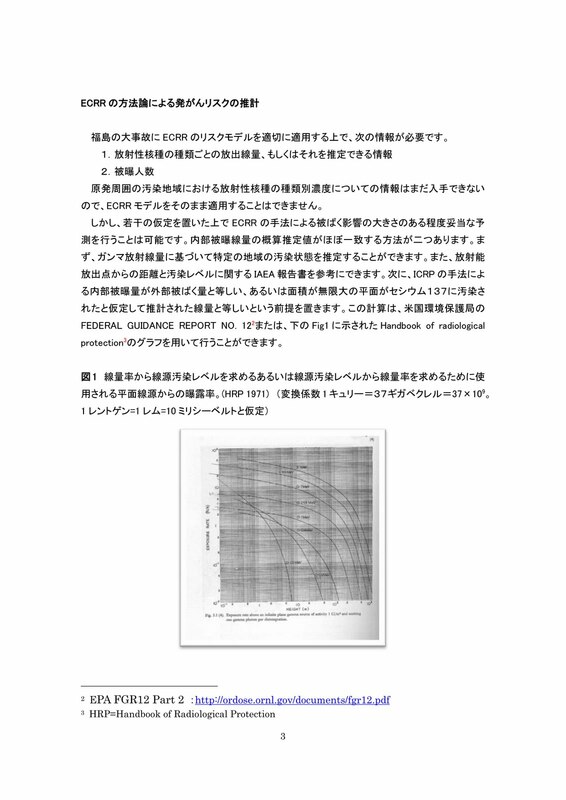 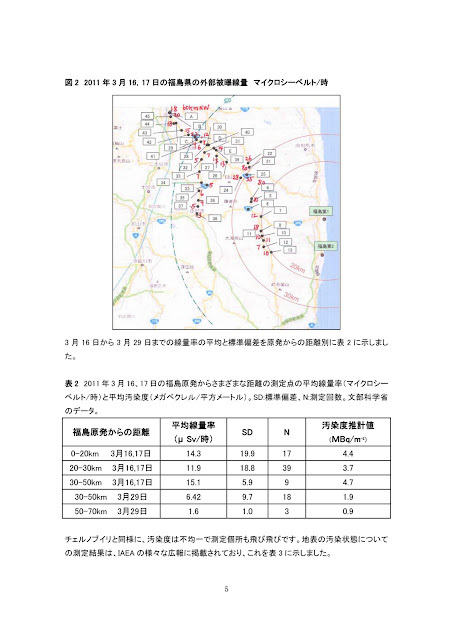 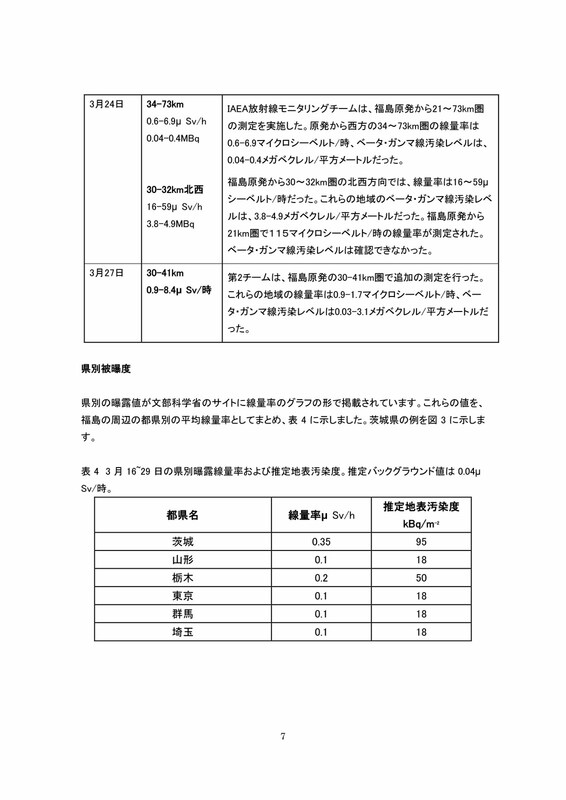 Also see an interview with Chris Busby in the Asia-Pacific Journal: Japan Focus "Fukushima Is Worse Than Chernobyl - on Global Contamination," of which an abbreviated translation was run in the July 8 edition of a Japanese weekly magazine Shukan Kin'yobi.